I ecoprint on both fabric and leather and the results are unique. I first collect various leaves and foliage from my NC farm and through a natural process, imprint them onto leather. I handcraft the hides into handbags, journals, shoes and clothing. (watch for more!) The colors you see are the actual colors Nature released to me that day as I imprinted my pieces. 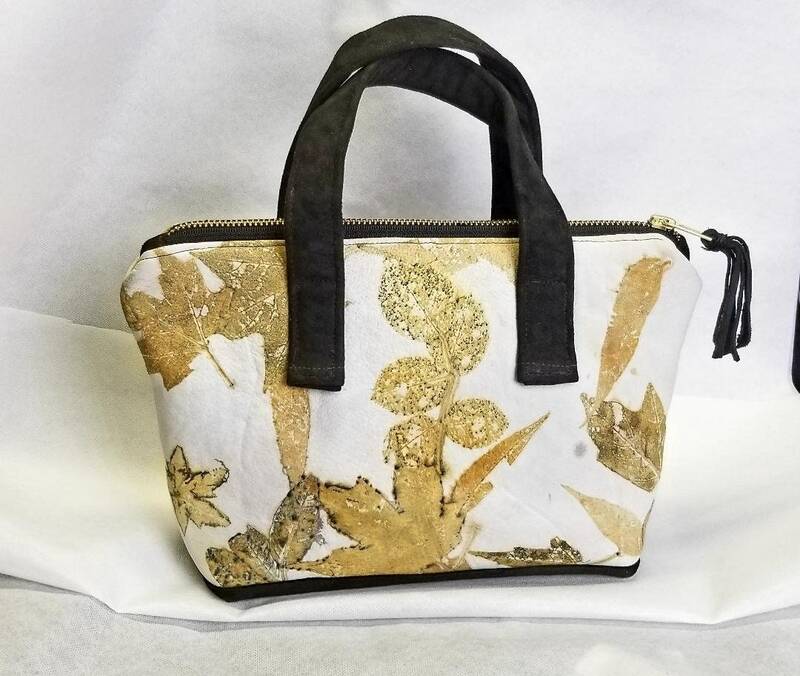 This beautiful handbag showcases my ecoprinted design on the front and back with a dark brown leather bottom and handles. The bag is 7" high x 10" wide by 3" deep, a perfect size for a quick outing! The brass zipper is a nice contrast to the dark browns in the piece. Fully lined with matching cotton broadcloth with a small leather inside pocket.